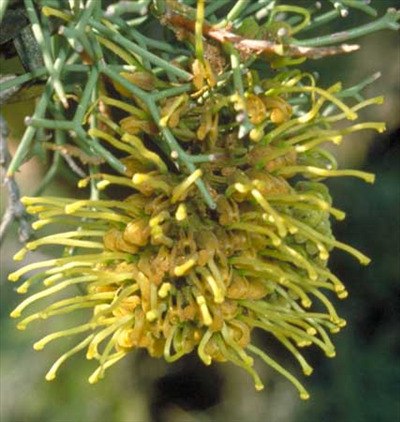 Tall shrub or small tree 12-18' with corky bark and full yellow flowers in winter. Tolerant of moderately heavy frosts and drought. Very showy in flower. Requires well-drained soils in full sun. Rarely available as seed hard to locate and germination sporadic.